Головна › Business & Industrial › Healthcare, Lab & Dental › XRay Markers 3 Pairs (3 Lefts and 3 Rights) NEW 2018 COLORS! 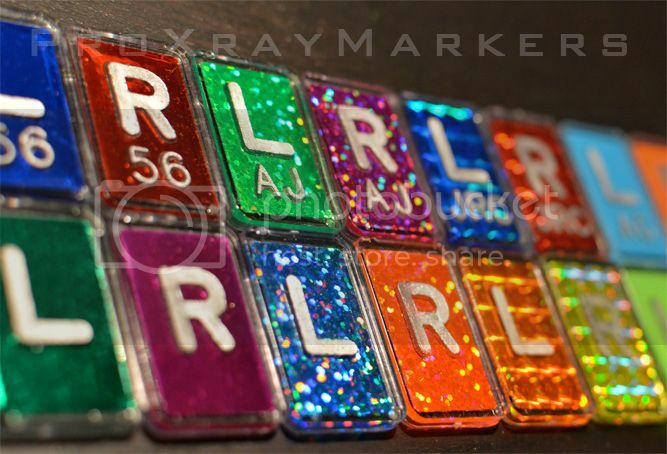 Customized clear ABS plastic X-Ray markers with multiple colored backgrounds of your choice (glitter, chrome or regular). 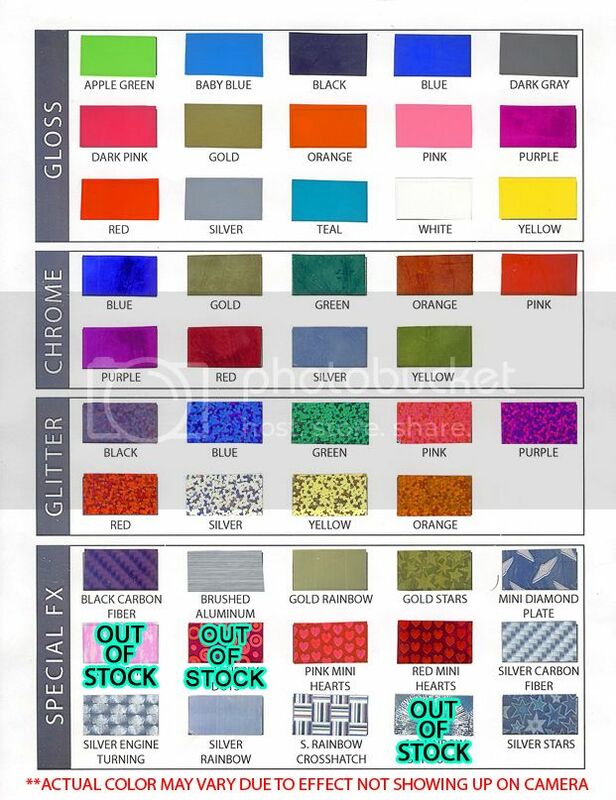 We also have NEW special effect colors listed below. We use high quality resin to produce clean and clear markers to cover the lead letters to prevent contamination or lead poisoning. The lead lettering are machine manufactured which also produces crisp and highly legible letters. Backings are made of clear ABS plastic and are high-impact resistant and machine made, creating a stunning professional look. WHY BUY FROM US? The answer is simple, our markers are crafted with the utmost care to you and the patients. Unlike most sellers on eBay, each marker has a clear protective resin layer covering the lead letters to prevent from lead contamination and poisoning. In addition, our usual turnaround time from order to shipment is 24-48 hours, making us one of the quickest customized x-ray marker producer in the world! Need your markers quick? ORDER FROM US TODAY! NOTE: This auction includes 3 Lefts and 3 Rights markers. Please indicate the marker’s color and your desired initials/numbers (limit 3 characters, excluding L/R) in the PayPal comment segment. 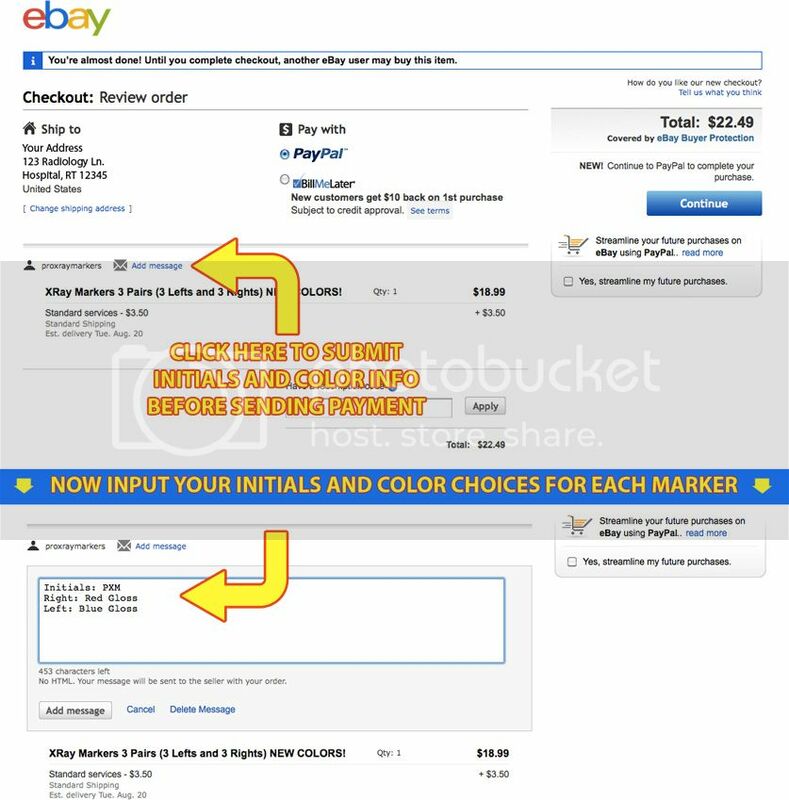 The following screen will pop up when you are about to checkout of eBay and submit your payment, please follow the pictured diagram to ensure safe selection of your initial and color choices. If you are having trouble finding this option, you can also simply just message us your choices after you submit your payment. Mix and match any color, initials and sides (L/R) that you wish! Please be specific when ordering. Paypal only. Please submit payment within 3 days with desired initials and colored background information. Item will be shipped out via USPS. Please allow 7-10 business days to arrive.